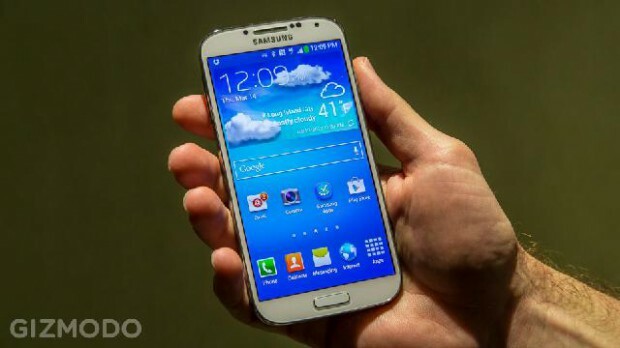 Today Samsung released their brand-new phone, the Samsung Galaxy S IV which is a small improvement over it’s brother. In short, the new Galaxy S IV is a very little improvement over the Galaxy S III. On the outside, it looks very similar and its so called enhancements aren’t something that I’m going to find myself using if I ever get the phone. So let’s take a look at the phone itself, it’s in the same form factor of the pervious phone with the camera being moved slightly around the phone. It’s a catch 22 for me when looking at the design of this phone, Samsung has decided to keep the same form factor which is great because it gives S III owners something similar than their older phone. Although it’s in the same form factor they’ve decided to cram a 5-inch screen, up from a 4.5-inch screen, into the phone while also cutting down on weight and sizes slightly. This of course has come at a cost by the build quality and battery life as I’ve started hearing reports of poor battery lift, only a couple minutes off the charger and down 2% on battery and the cheap plastics feeling cheap. Now let’s move on to these so called improvements with the phone, one of the biggest boasted feature is eye-tracking to automatically scroll the screen. Who in their right mind would turn this on? You will never, ever, ever ever ever constantly look at your screen while reading. Your eyes, just like mine will dart around and this may cause for the scrolling to shoot way off. I don’t see this being a practical feature in any respects. This also goes the same for the smart pausing feature, which also looks like total rubbish. What if I’m sharing a video with friends? What if I look away while the video is playing for just a second or two? Seeing this phone, I’m highly disappointed in Samsung and what they’re trying to do. They flat out said they are coming after the core iPhone market with this phone, and I believe they are doing the exact polar opposite by cramming as many useless features into a phone as possible. These so called enhancements don’t look there to make using the phone better, they seem that Samsung was looking for a way to jack up the price of the phone with some useless features that no one will ever use. I would be delighted to change my mind if I got my hands on a Samsung Galaxy S IV, but looking at the specs and initial first impressions, they aren’t looking high. I’m not trying to bash the Samsung Galaxy S IV just to bash it, but I’m telling you that what I see on paper and how I translate that to my daily life, it doesn’t fit. I’m an iPhone user yes, but I also use Android in my daily life. Let me make it abundantly clear, I’m not bashing Android, I just strongly dislike what Samsung has turned it into. Sure the phone looks good on paper with these features, but are they really going to be useful in daily life? Previous articleHow Much RAM Do I Need?